I make scratch games. A lot are my ideas. 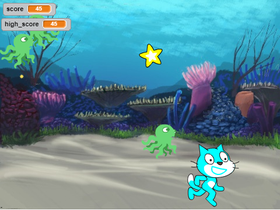 I like scratch because it's simple and fun, and people who have always wanted to make games can if they are noobs. I hope you will play and like my games!!!! I do lots of games. please check my studio(s) and game(s) out. quizzes are very fun to make. I have a sim featured. since i do not have commenting on please like and fave it so i know you saw my work.